Burners really are not as complicated as most people make them. Everything that the burner and all of its related components do – we do the same thing every day with other components to control other things in our lives. Burners make heat. Furnaces in our home make heat. Flow Switches or Pressure Switches or Vac Switches will not allow the burner to come on unless there is water flowing through the system. So you are telling the burner not to come on until it sees a predetermined setting. In this case that command is the flow of water. The furnace in your home has been programmed with a predetermined setting as well. You have told it to come on and go off at a specific temperature. Now let’s bring this unfamiliar mechanism back down to an understandable level. The burner produces fire but only when fuel in introduced into the equation. So let’s break down the burner into two categories. When a pressure washer burner is wired correctly and you turn the burner ON you will hear the burner motor start up. What you won’t hear is that the igniter has also become active and is sending an electrical spark to the burner electrodes that are waiting for fuel to enter the system to be ignited. Now that is easy. Isn’t it? Now that everything is working on the firing side we need to put in place the predetermined settings that keep the burner working safely and efficiently. For simplicity sake let’s remember that the only thing we need to do at this point is to tell the burner when to send fuel through the burner and on to the firing chamber where the igniters waiting to ignite fuel. 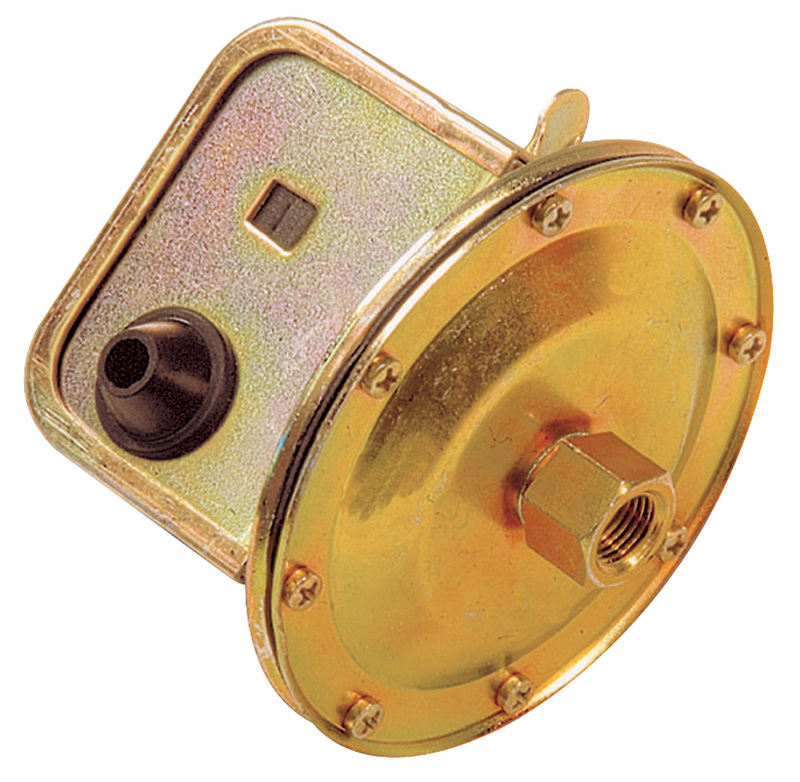 We do this with a series of on/off switches that are activated either by flow of water or pressure or a temperature setting and a hi-limit switch that are saying that it is okay for fuel solenoid valve on the fuel pump to open. This fuel solenoid valve is mounted on the fuel pump and opens when all of your predetermined settings are met. The first thing that we need to do is to tell the burner that it is okay to come on because water is flowing through the system. We use either a flow switch that recognizes flow of water or a pressure switch that recognizes that the operator has pulled the trigger. When you think about it – these switches are no different that the on/off switchs that we use to turn on the lights in our home. The next switch in the system (if one is utilized) will be the thermostat. This works just like the one mounted on the wall at home or in your office so we are not going to spend any more time here. Then comes the hi-limit safety shutdown switch that watches out for system failure where the burner fails to shutdown in the proper manner. A lot of manufacturers do not use a hi-limit switch in hopes that if something happens and the burner gets to hot the thermostat will cut off the fuel solenoid. We recommend that you always utilize a hi-limit switch. If you have never seen a burner/coil explode because the burner did not shut down when the operator release the trigger then you will have to trust me when I say that it resembles someone dropping a sick of dynamite into the coil. Believe me, you don’t want to be around when this happens. A flow switch completes the circuit when the water is moving after the unloader valve outlet. It must be installed after the unloader outlet so when the trigger gun is released it will be in the correct position to sense the flow stoppage. If a flow switch is installed before the unloader the water will continue to flow in the by-pass loop and the switch will remain closed, allowing the burner to continue to fire. The by-pass loop includes the pump outlet to the unloader inlet, so the water continues to move there in any case, whether the trigger gun is opened or closed. A flow switch is installed directly in the water stream. It has a metal body that is hollow inside. A magnet floats in the hollow section of the body. When the water is flowing the magnet is pushed to one end of the hollow section. When the water stops flowing the magnet returns to the other end. A reed switch, which is two wire like contacts enclosed in a protective tube, is located on the outside of the flow switch body. The two contacts are pulled together by the magnetic force when the magnet is near them. The magnet is located near them when the water is flowing. 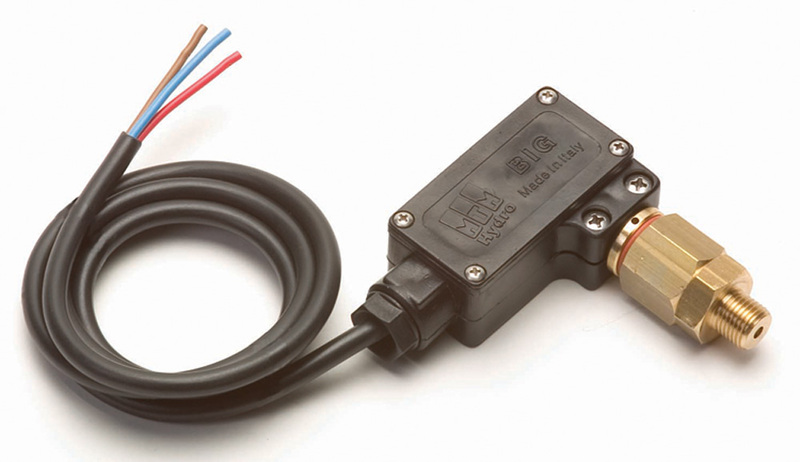 The reed switch is connected into the circuit that controls the oil solenoid valve, and on some burners also controls the motor and igniter. 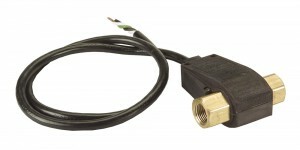 A flow switch used to control a burner is wired to be normally open. A flow switch that is a vertical mount only, uses gravity to return the magnet to its original position after the trigger gun is released. It has no spring. The magnet has a small hole drilled through it that allows water to be released from the system that is downstream from the flow switch. This is the type of flow switch to use with a flow actuated unloader valve. A flow switch used to control a burner is wired to be normally open. Some flow switches that contain reed switches can be mounted vertically or horizontally. The magnet in these flow switches has a spring that applies enough pressure to it to return it to its original position when the water flow stops. When the trigger gun is released, and the spring pushes the magnet back, the magnet traps the pressure downstream from the flow switch. Because of the trapped pressure, this type of flow switch doesn’t work well with a flow actuated unloader valve. A flow switch used to control a burner is wired to be normally open. Pressure switches can be used for a variety of purposes on a pressure washer. 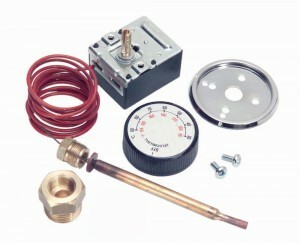 We will address their use as a burner control, but they can also be used to activate a timer device, like in a car wash bay to limit operation time, or to switch a motor on and off for an electric pressure washer A pressure switch that is used as a burner control basically does the same job as a flow switch. The switch must be installed in the water flow were it will be exposed to high pressure when the trigger gun is open, and low pressure when the trigger gun is closed. Unlike a flow switch, which is installed after the unloader, a pressure switch must be installed between the pump outlet and the unloader inlet. In this part of the water stream the pressure is low when the machine is in by-pass and high when the trigger gun is open and the water is being forced through the high-pressure nozzle. A pressure switch is plumbed into the water flow so it is directly exposed to the operating pressure. It has a fitting that allows installation, O-ring seals, a plunger, spring, electric micro switch, and the switch body itself. On the switch body there is a plate that is held in place with screws and has a seal to waterproof the switch. Removal of this plate allows inspection of the micro switch. When the PSI is high, the pressure switch plunger is pushed in. When pushed in, the plunger activates the micro switch and completes the circuit. When the system pressure is reduced, the spring applies more force to the plunger than the water pressure and the plunger is pushed out, disengaging it from the micro switch and opening the circuit. Pressure switches are available that switch at different pressures. A common one used switches at 580 PSI. The system needs to operate at a higher pressure than the PSI that causes the switch to activate when under pressure, and at a low enough PSI that the switch isn’t activated when in by-pass. A pressure switch used to control a burner is wired to be normally open. 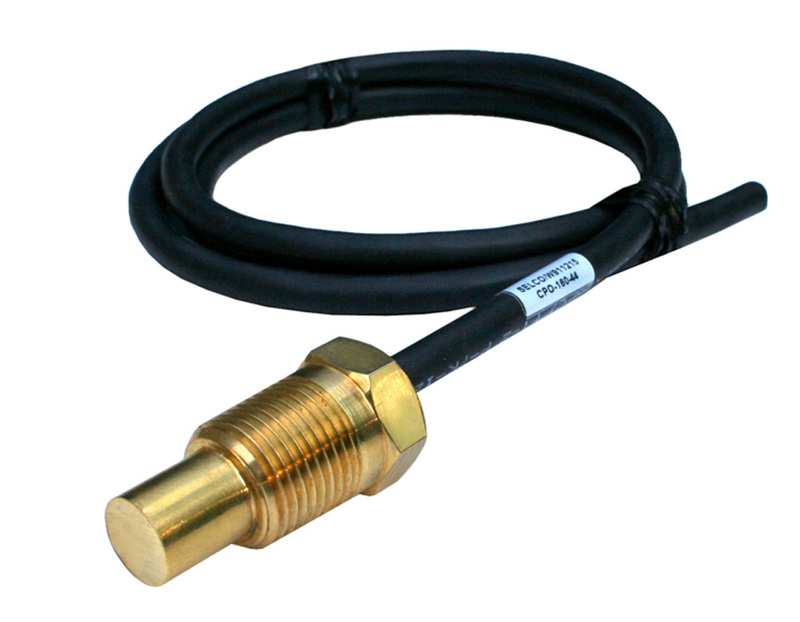 This type of switch, like a pressure switch, can be used for several applications. When used as a burner control, it opens and closes the circuit that causes the oil solenoid to either be energized and open, allowing fuel to enter the burner nozzle, or shutting the fuel supply off to the burner nozzle. Use of a vacuum switch requires negative pressure to be generated by the pump drawing water into the inlet port. If the equipment is operated with a pressurized feed, a float tank must be installed to break that feed pressure. The incoming supply flow enters the float tank, and then a separate port in the float tank connects the float tank to the pump inlet. The vacuum switch is installed between the float tank and the inlet port of the pump. A vacuum switch used to control a burner is wired to be normally open. Breaking down the components that make up a vacuum switch, the list includes, the switch outer body, the diaphragm, spring, and the electric switch. Most vacuum switches have a manual test lever that protrudes out through the outer switch cover. A vacuum switch operates using the negative pressure, or suction produced as the pump is drawing water into the inlet port. When negative pressure is present, the switch diaphragm balloons towards the negative pressure. The switch is attached to the opposite side of the diaphragm and is activated when the diaphragm pulls it. When the pump stops drawing water because the trigger gun is closed, the negative pressure is eliminated and with the assistance of the spring, the electrical switch is returned to its open position breaking the electrical flow through the circuit. This causes the fuel solenoid to close stopping the fuel flow to the burner nozzle. A pressure washer thermostat is located in the electrical circuit with the fuel solenoid. It is a switch that breaks the circuit, stopping electricity from energizing and opening the fuel solenoid, or it completes the electrical circuit allowing the fuel solenoid to be energized and opened, thus allowing fuel to be supplied to the burner nozzle. 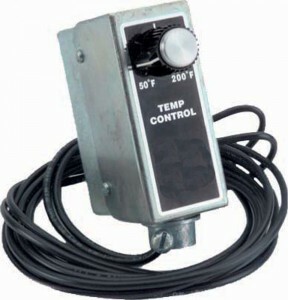 The thermostat uses a sensing devise to determine the temperature of the water. When the water becomes as hot as the thermostat is set to allow, the sensor opens the switch and breaks the flow of electricity in the circuit, causing the fuel solenoid valve to close. When the water temperature lowers because the burner is no longer heating it, the sensor allows the switch to close again restoring the electrical flow and energizing the solenoid, which allows the burner to fire. Any temperature-sensing switch must be installed with the sensor located where the water first emerges from the heater coil to be accurate. Thermostats can be wired either normally closed or normally open. This refers to the range of temperature between when a thermostat shuts off the burner and when it allows the burner to fire up again. Thermostats have different dead band ranges. Better thermostats have a small range, some as tight as just a few degrees. This causes the burner to cycle on and off more often to keep the water temperature more consistent. 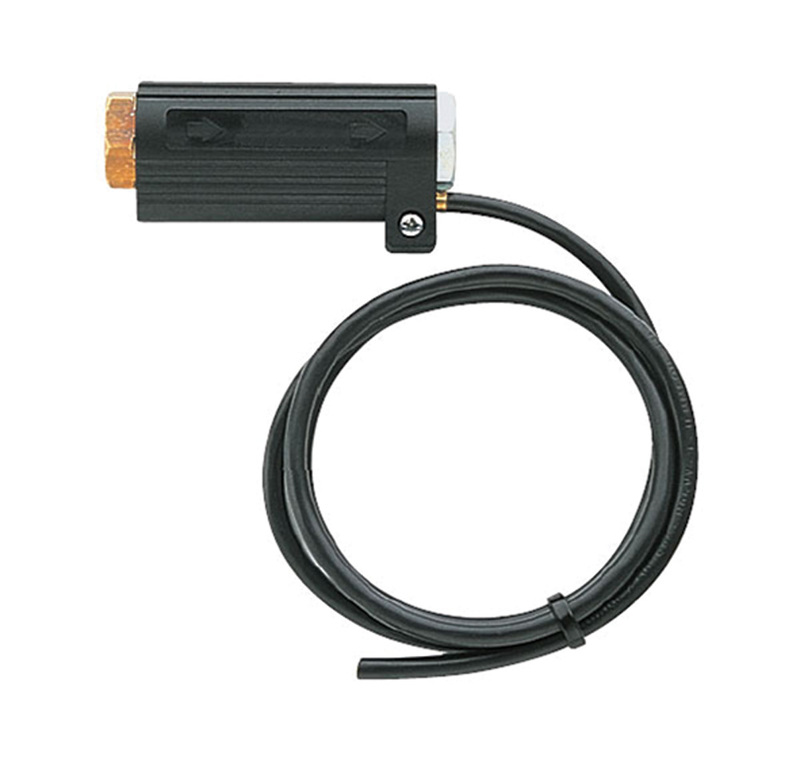 Most pressure washer thermostats have a dead band range of 20 to 30 degrees or more. Where consistent water temperature is important, most thermostats fail to perform as well as desired. Adjustable thermostats provide a means for the equipment operator to set the temperature at which the sensor will open the switch. A dial or adjustment screw is the most common adjustment method. The ability to make these adjustments is important if the operator wants to match the water temperature to the cleaning job being performed. A panel-mount thermostat consists of a dial and switch that is mounted in a location remote from the sensor. The sensor is a liquid that fills a sensor bulb and capillary tube. The bulb is mounted at the outlet of the heater coil where it is exposed to the water temperature. A capillary tube connects the bulb with the switch. The liquid is a special viscous fluid that expands when it is heated. This expanding and contracting fluid activates or deactivates the switch. The thermostat is wired into the electrical circuit with the solenoid. Adjustable thermostats provide a means for the equipment operator to set the temperature at which the sensor will open the switch. A dial or adjustment screw is the most common adjustment method. The ability to make these adjustments is important if the operator wants to match the water temperature to the cleaning job being performed. An in-line thermostat has an inlet and outlet plumbing port. It is installed at the outlet of the heater coil. It senses the water temperature as it flows through. An adjustment dial is located on the outer body of the thermostat. The thermostat is wired into the electrical circuit with the oil solenoid valve. Non-adjustable, fixed thermostats are popular simply because with few exceptions heat on a pressure washer does not need to be adjusted. Typically, contractors want 200 degrees if they are using less expensive detergents and need the extra kick to move the pollutant or 160 degrees if they are using hi-end detergents. Typically hi-end detergents are loaded with premium surfactants and additives that provide a safer and cleaner clean surface and anything over 160 degree is a waste and oftentimes will ‘blow-out’ expensive surfactants and additives. The money saved on fuel when using hi-end detergents at 160 degrees dramatically outweighs the extra fuel cost of running a system at 200 degrees. A high limit switch is a lot like a fixed thermostat. It is either used as a safety device in addition to a thermostat that keeps a burner system from heating water too much, or it alone controls the high-end temperature of the water. A high limit switch will generally be pre-set around 200 degrees. Temperatures above 200 degrees become damaging to components of the pressure washer. It is installed as close to the outlet of the heater coil as possible. When it senses the flow of water has reached its pre-set limit, the sensor opens the electrical switch and breaks the circuit, thereby stopping the burner from firing and allowing the water to cool. When cooler water is sensed, the switch closes again allowing the burner to fire. A good point to remember is that if the water flow stops, and the burner continues to fire due to the failure of some other component, the high limit switch will not be very effective because the water is no longer flowing past it. Eventually the temperatures at the sensor may reach the point where the sensor opens the switch, but by then the temperatures inside the coil will be extreme. If this occurs, do not start the water flow until the water in the coil has cooled. This cooling in some cases will take hours. There is also a danger of the coil itself being damaged, perhaps even exploding because of trapped water and steam pressure. A pressure washer operator needs to understand these dangers and be vigilant. 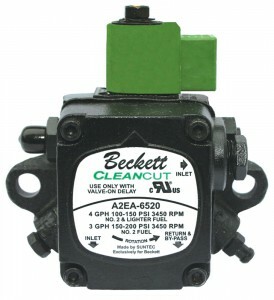 Shown is a Beckett Cleancut fuel pump with the solenoid valve (green) mounted on top. When the electrical current reaches the valve it opens and allows fuel to pass into the firing chamber. The fuel solenoid is the valve that is energized when the burner control switches allow current to flow to it. It is a valve that when open, allows fuel to flow to the burner nozzle, and when closed it shuts off the fuel supply to the nozzle. With fuel, the burner fires and the water is heated, without fuel, the burner cannot fire, and no heat is produced.